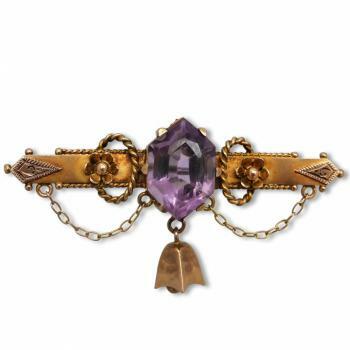 A fabulous amethyst bell brooch from the Edwardian era, c1912! 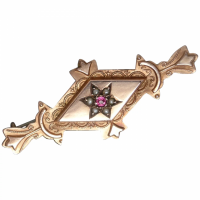 This elegant brooch is made of 9ct gold, a soft yellow colour with rose gold embellishments. 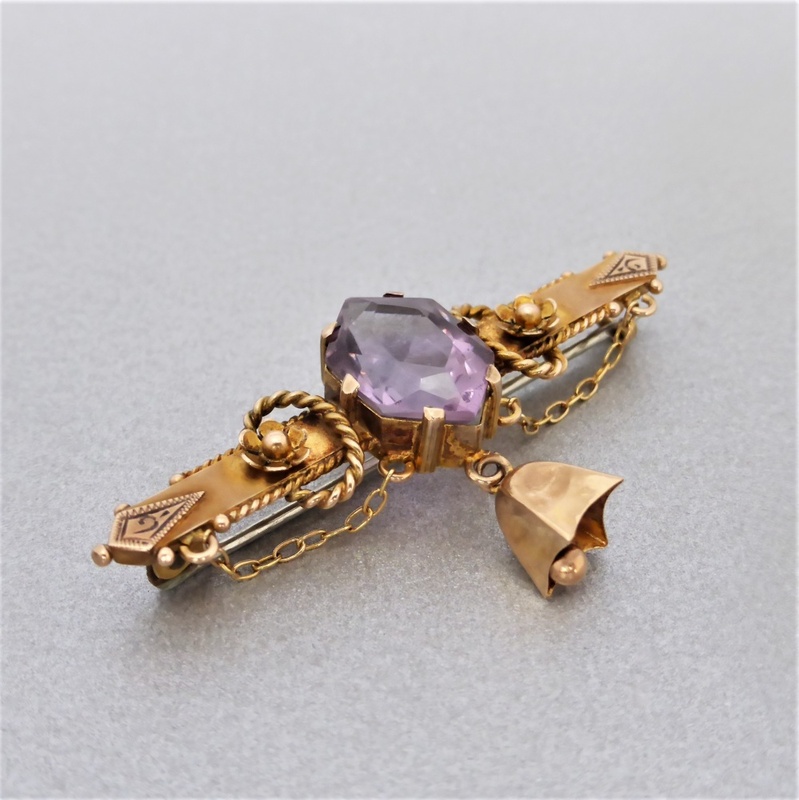 The bar brooch features a unique elongated hexagon-shaped amethyst which rests in a four-claw bearing setting at the centre of the bar. 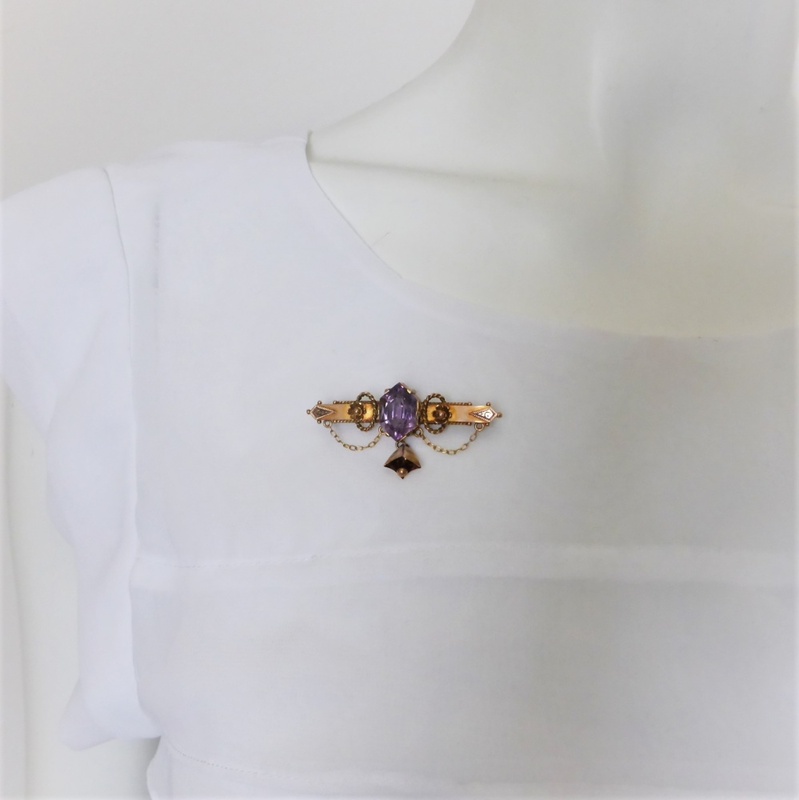 The natural amethyst is a pretty lavender colour and measures 13.72mm length x 9.00mm width, estimated weight is 4.70 carats. 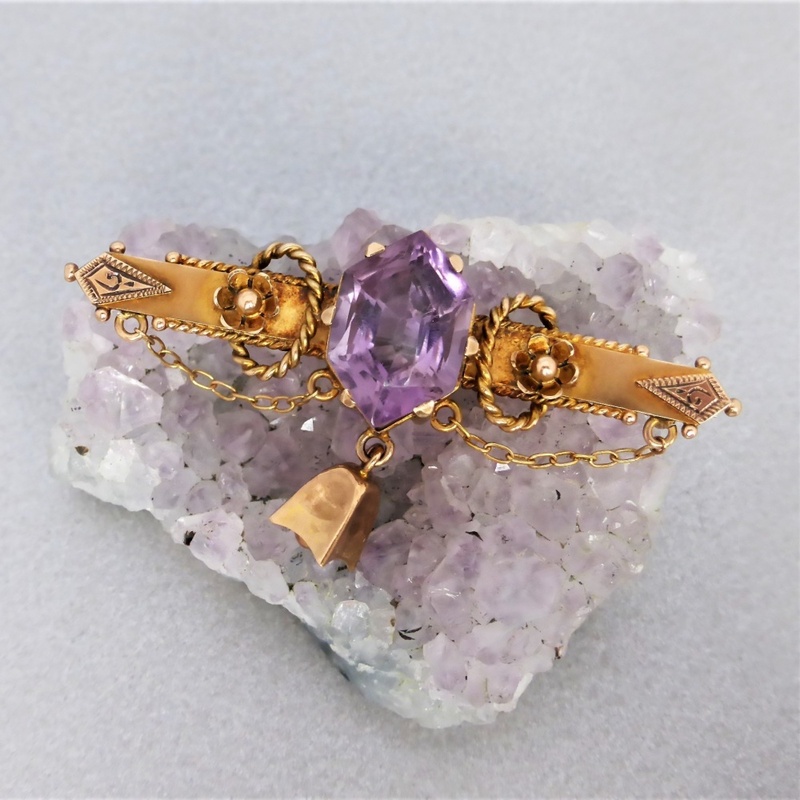 A little rosette and rope wire adorns the sides of the amethyst. 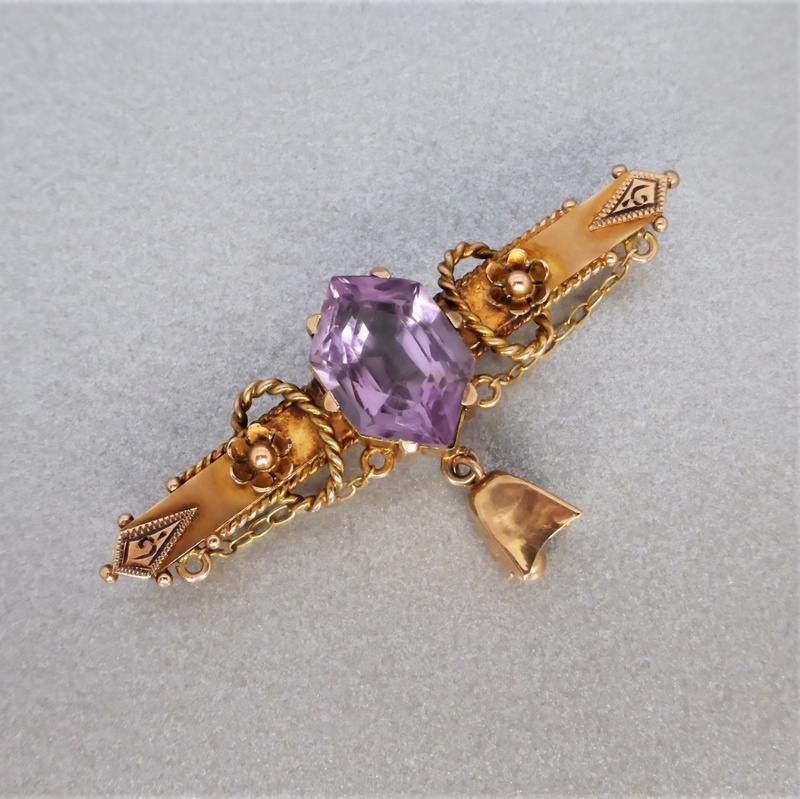 A bell suspends from the amethyst setting and reveals a sweet chime when the brooch is in motion. There is a rope wire along the sides of the brooch, as well as little granules, and a swag chain either side of the bell drapes graciously. 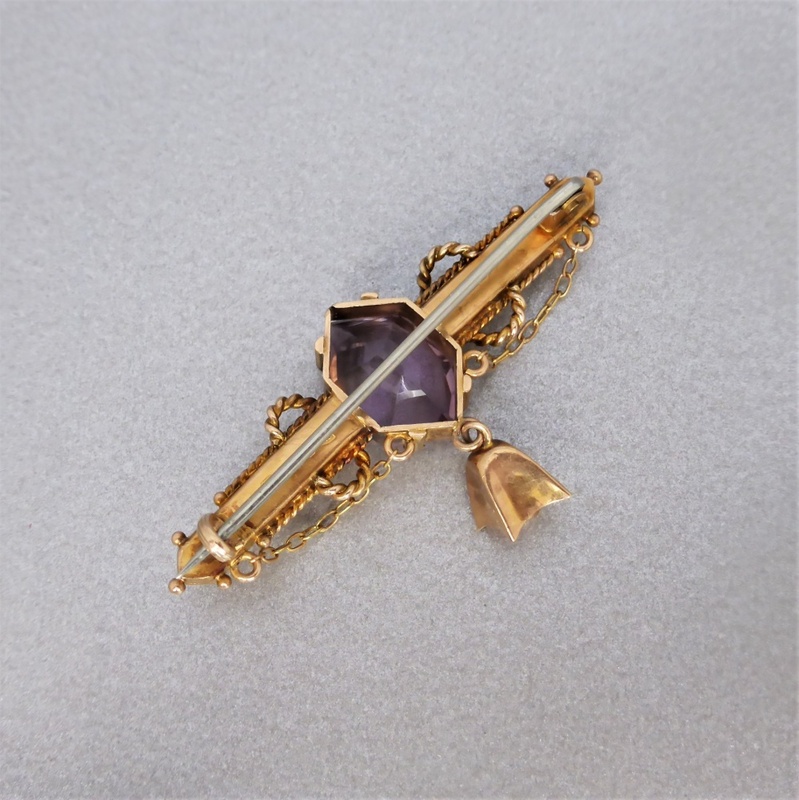 Etched rose gold kite-shaped platforms are placed at the bar ends ... adding extra charm and intricacy to this lovely antique brooch! 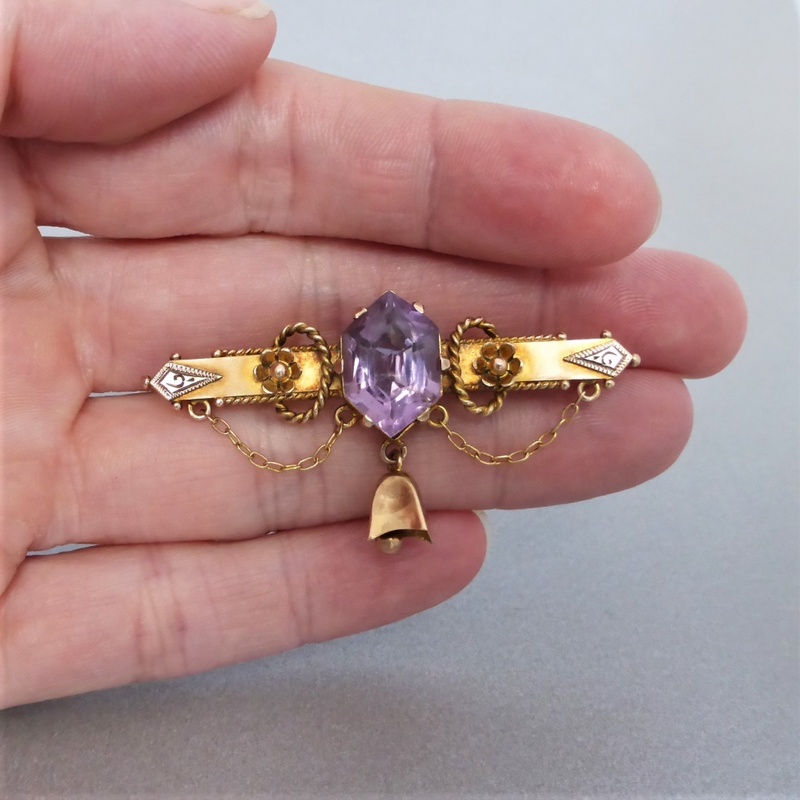 A metal pin and c-loop to the reverse make up the rest of the brooch. 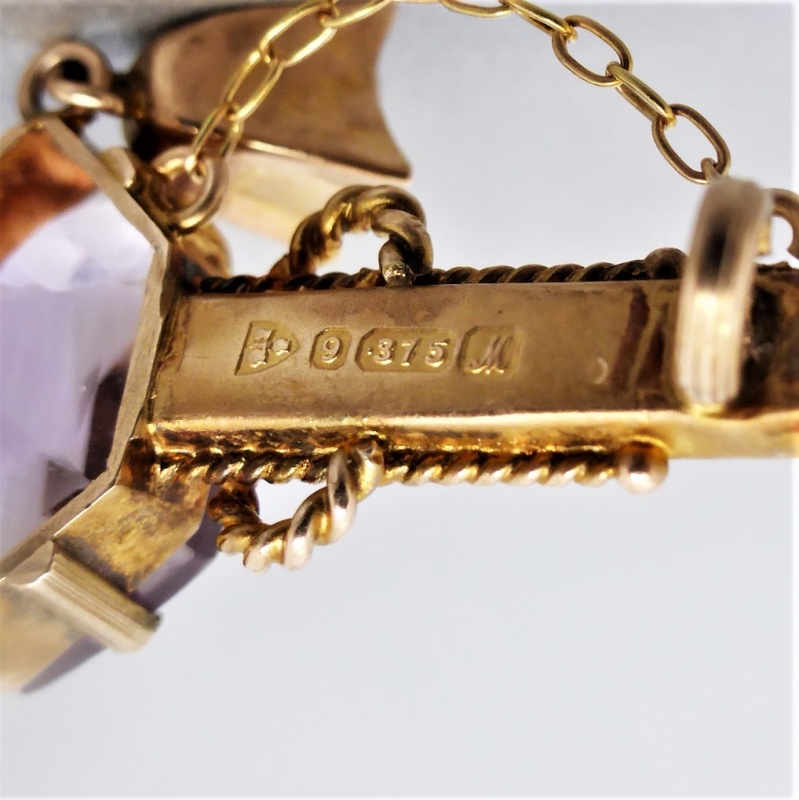 There are English hallmarks placed on the reverse. The English hallmarks indicate Chester origin, dated 1912. 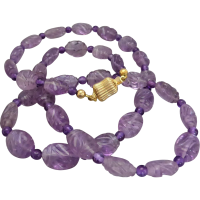 Gemstone: Natural amethyst, faceted hexagonal shape, measuring 13.72mm length x 9.00mm width, 6.93mm depth, lavender (light purple) colour, 4.70 carats estimated weight. Eye clean clarity. 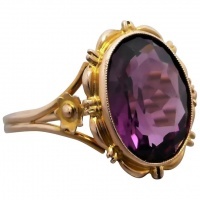 Gemstone tested by a FGAA gemmologist with professional gemmological equipment. Hallmark: English - "9" ".375" (millesimal mark for 9ct gold), date letter 'M' (1912), city mark ''three wheat-sheaves and sword" (Chester). Condition: Very good antique condition. There is normal surface wear and a tiny hairline fissure to setting corner (seen under magnification), the fissure does not compromise the security of the stone. 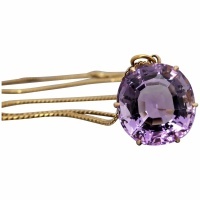 The stone is secure and in superb condition with no visible nicks or scratches. 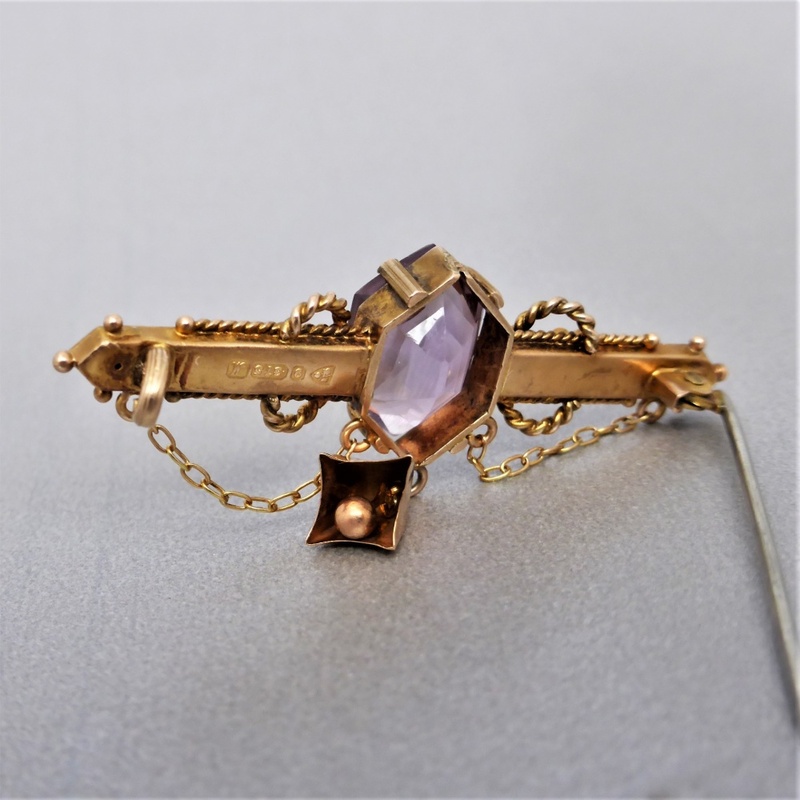 The pin works well with good tension.. A beautiful antique brooch!